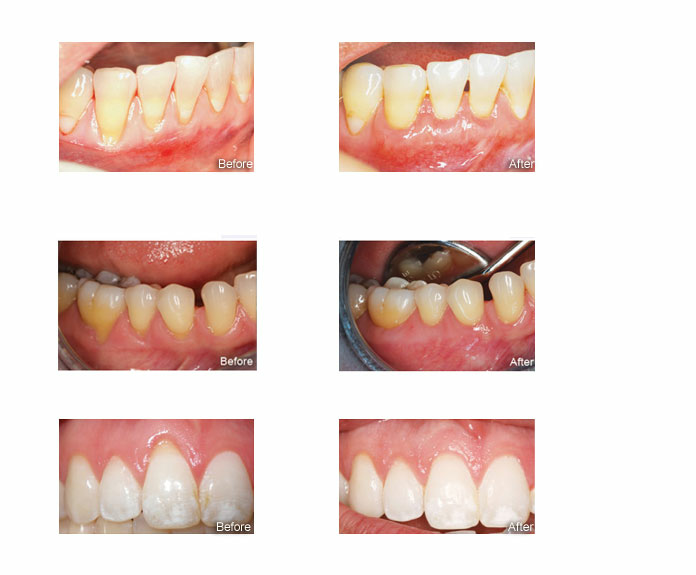 With the new Pinhole Surgical Technique, we can treat all the affected teeth in one session, although patients can also opt for treating just one arch or quadrant at a time. Treatment is done using local anesthetic and treatment time is only one to two hours. Patients typically have needed only a couple of Tylenol® post treatment. Results are stable, with cases maintaining their gum coverage even several years later. Start on your road to rejuvenated gums with a free consultation with Dr. Zaw Thu. We will evaluate the extent of the gum recession and any other issues that might need to be handled to prevent gum recession from continuing. You will get treatment plan options and advice on the best path to choose for your specific condition. To make an appointment, call: 951-351-8881/ 714-451-0010/ 714-773-9300or clickhere to request an appointment online. The affected teeth are cleaned and prepared and the gum tissue is numbed with a local anesthetic. 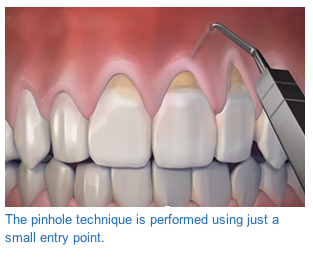 A small entry point (0.1 inch) is made in the gum above the tooth or teeth to be treated. Dr. Thu use a specialized dental instrument designed and patented by PST inventor Dr. Chao to free the gum tissue at the entry point and gently move the gums down to their proper position. Next, they use a small angled instrument to pass several collagen strips through the entry point and place them under the gums. The collagen helps to stabilize the gums. Dr.Thu can correct up to 14 teeth at once in one to two hours. There is little to no post-operative discomfort.